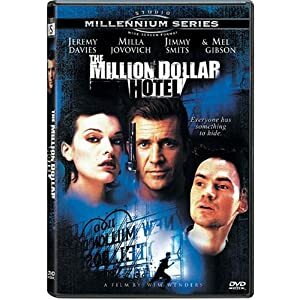 The Million Dollar Hotel used to be elegant and high-class, but now it is home for several mentally disturbed tenants and outcasts. When one of the people who resides there commits suicide, an investigator (Mel Gibson) is called because of suspected foul play. A movie that is very well done - and it even won the Berlin Silver Bear award! You definitely will want a second viewing after seeing it for the first time. That's because this film is full of trickery, grand delusions and viciousness. But underneath all the chaos it is still a love story that will melt your heart.